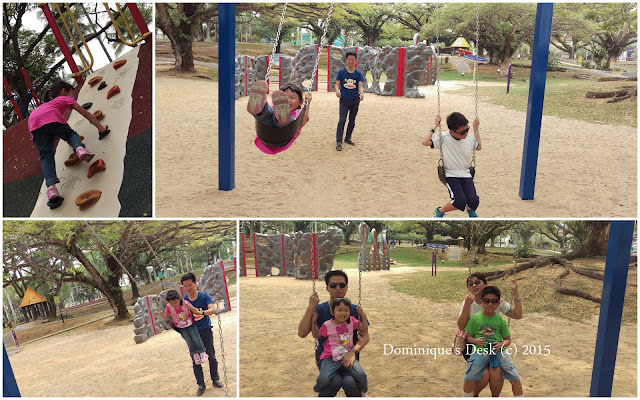 Last week during the 4 days of PSLE marking I took the opportunity to bring the kids to the park for some fun. R was in town to we had a great time bonding as a family. 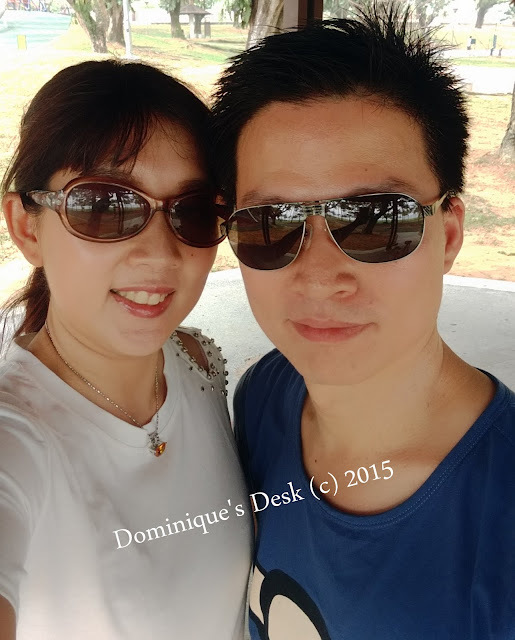 The last time we were at Pasir Ris park was back in Feb when R was down for a short break in August. It was indeed fun for all as the park wasn’t crowded as it was a weekday. We could spend as much time as we wanted on the different playground equipment and play to our heart’s content. Besides having fun at the playground we rented bikes so that everyone could get a good workout while being at the park. Tiger girl doesn’t ride the bicycle very often and due to the haze we have had lesser opportunities to spend time outdoors. 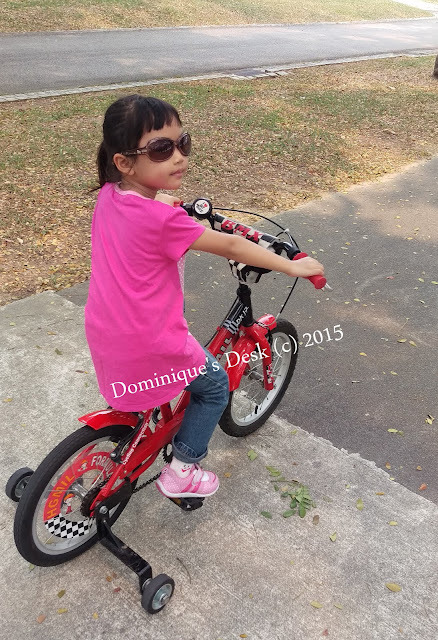 I’m hopeful that in the next few years she be able to ride a bicycle without training wheels attached. 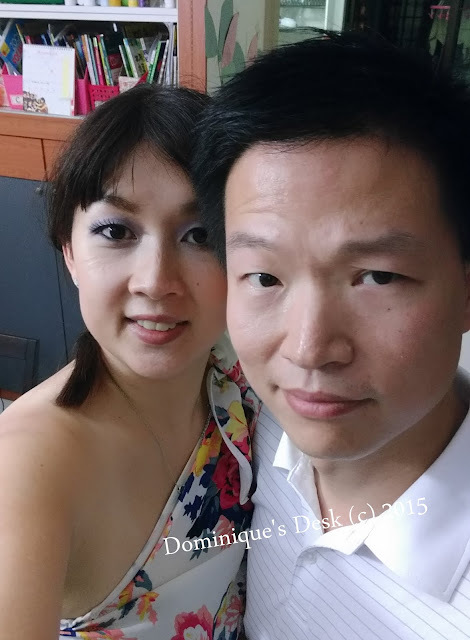 It’s very rare for us to be able to do activities as a family now that R is working overseas. I took the opportunity to catch up with him and spend some couple time with him too. R and me getting ready for our date out. After spending the whole day with the kids it was our time together with a date night and catch up with some of our friends. Looking forward to the next time that we can spend time together as a family again. So nice photos and all are in active mood.Hope you have a Great Week! Haven’t been to Pasir Ris for quite some time now!! I’m glad he managed to come back and spend time with you and the kids during that short hols.. I like the family photos especially the last one heheh! So glad you snuck in a date night. It must be difficult to be apart. FUn family photos, you all look great!!! 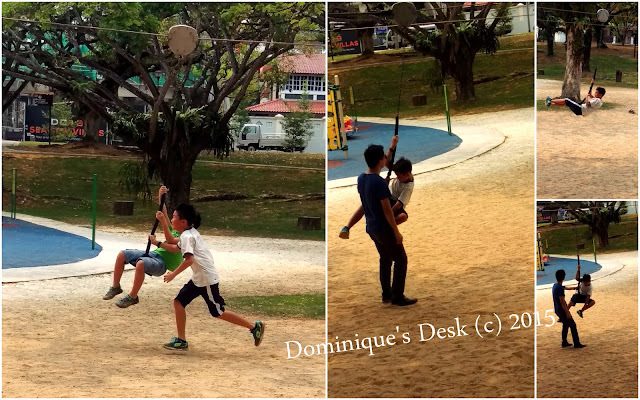 You seem to always find really fun parks to play at. Nice photos. It is fun to spend the holiday with the family. We used to spend the holidays staying at home or going out to have fun at the mall. I love family gatherings and these simple outing as well. Those family photo is awesome. 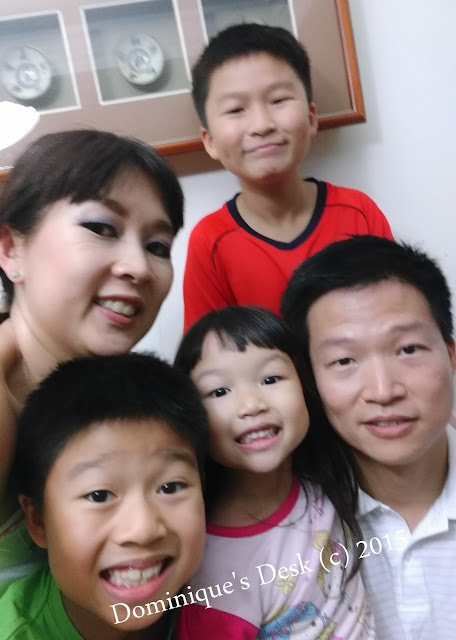 Glad that you spend time together with your family.